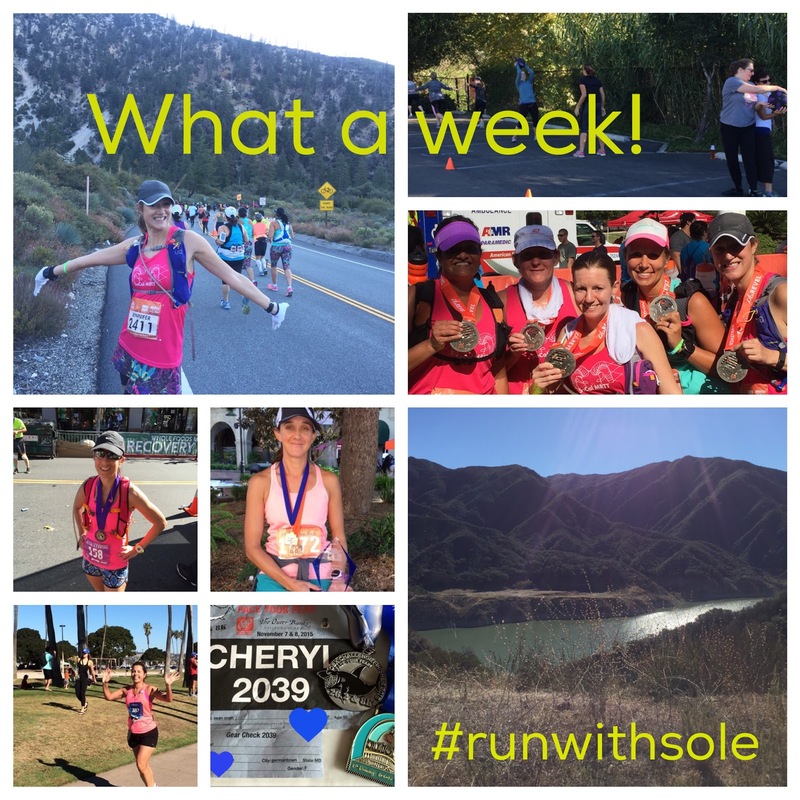 Runs with Sole: Week Wrap Up! The week started with the first session of my strength training program. This has been something I've been looking to do ever since I became a personal trainer but just haven't been able to do it, scheduling-wise. But now the timing worked out to offer a 6-week program. I was notified about 6 days before the start of the program that my location couldn't be used, so I had to scramble to find another location. Thankfully, my good friend Chris, owner at Perfect Balance Therapeutic Massage, offered her space for our use. And it worked out so well! I capped the program at 10 and all the women kicked some major booty! It's a great group and I'm looking forward to working with everyone! This day was also RACE DAY for private client Isabel. She has been working so hard since January. 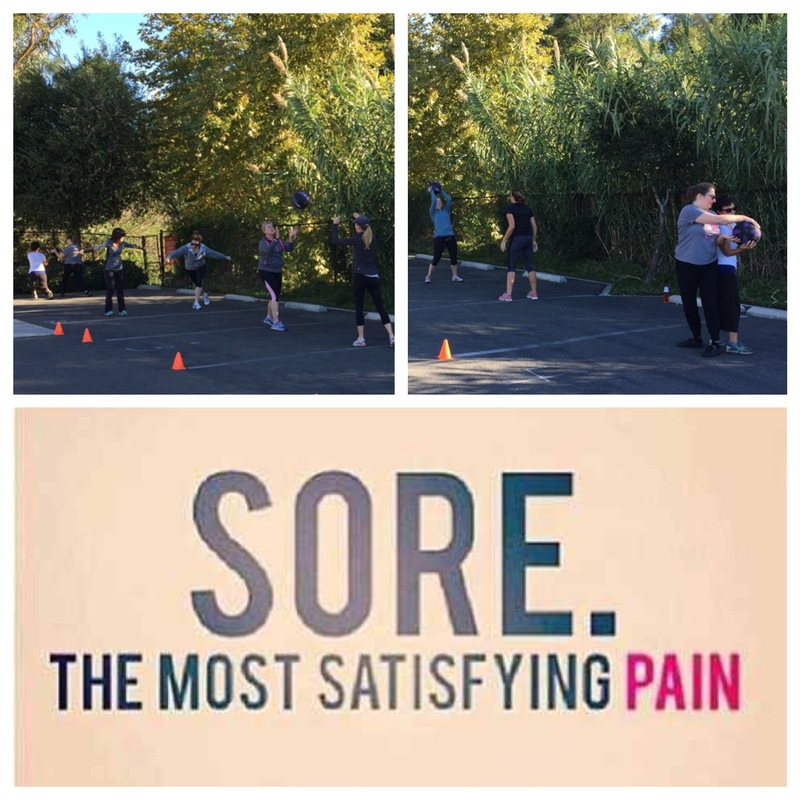 What started out as a way to get into shape and compliment her favorite sport beach volleyball has become something she really enjoys. Isabel worked towards a 5K and completed the Finish Chelsea's Run 5K in March. She loved it so much she then trained up for the Girls on the Go 10K in May. Then she was bitten by the running bug and decided to do the Celebration Half Marathon on Nov. 1. She did so well and I am so proud of her!! And now she's doing the Resolution Run 15K and Carlsbad Half Marathon, both in January. It's been truly wonderful to see her grow as a runner. Friday I hit the road with my girls Smitha and Vanessa. We were heading for Azusa, just outside of Pasadena, for the Revel Canyon City Marathon. Smitha and I did the half marathon last year and fell in love with it! It starts in the San Gabriel mountains and heads downhill into Azusa. The marathon starts 13 miles higher up in the mountains. It's a 5400+ foot elevation loss over the first half of the marathon and then the next 10 miles have about 1000 ft elevation loss over rolling hills. Then the final 3 are flat. It's a beautiful course and we were up for the challenge. Hitting the road with these beauties! We were part of a larger group, Southern California Moms Run This Town (MRTT). I actually met Smitha through our local San Diego MRTT so it has a special place in my heart. There are so many wonderful women in this group, I just can't take it sometimes. The awesomeness is too much. If you're looking to meet up and run, walk, skip or just hang out with like-minded women, check out your local group. Anyway, women from the San Diego area, Temecula, Riverside, Orange County, LA and all over SoCal were part of the team and were just under 200 people strong. The largest team that did the race. We had a team shirt and most of us opted to wear the beautiful For the Birds print from Spandits. It was great to see the camaraderie along the course. Saturday morning was an early one. We needed to get on a bus before 5:00am for the hour-long ride to the marathon start. I won't lie, it was a bit scary for me, being on a creaky school bus as we ride up, up, up a windy mountain road. I was glad when that was over. When we got to the start, we had an hour to spare so we parked ourselves in line for the port-o-potties and tried to keep warm. It was so cold!! Vanessa, private client Leslie and I happened to get our throw-way jackets from the sale rack at Target and we all looked like the Unibomber!! We had to take a pic to showcase how menacing we could be as Unibombers (with flowery pants and skirts, of course). I am one lucky girl to be able to run in such beautiful places! Smitha and I were Twinsies! When we hit the halfway point of the race, it was like a second race began. The next 10 miles were rolling hills. I ran this course last year and it felt like a completely different course after running down 5400+ feet over 13 miles. Every hill felt like a mountain and our legs were so confused. It was not pleasant to say the least. At about mile 23, we were heading into Azusa and the course completely flattened out. That was another tough transition. But we hunkered down and powered through that last 3 miles to the finish line. And what a sweet finish line it was. Vanessa and I ran the majority of the race together and after 26.4 (we thought 26.2 wasn't enough) miles of laughs, we finished strong. Then came Barbara who finished with a 6 minute PR (we were in the bathroom when she finished so we didn't see it...friend fail). Then came Smitha. Aside from being one of my dearest friends, Smitha is also a client and she ROCKED her race. She PR'd by about 10 minutes and felt great at the end of her race. Leslie also finished well, despite dealing with leg cramps. A finish on a tough course like this is an awesome accomplishment! After the race we headed to Congregation Ale House to celebrate. We ate like the queens we are and enjoyed a cold adult beverage. Smitha and I were a little nauseated from the run but ultimately able enjoy our meals, drinks and the time with our friends. We conquered the tough Revel Canyon City course and we have the sore quads to prove it!! Beer + medal = happy! 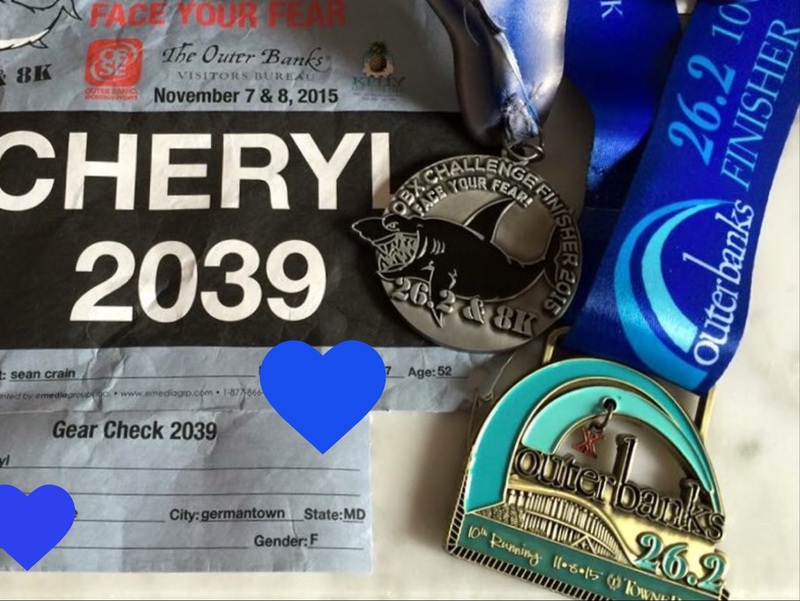 Saturday was also a banner day for private client Cheryl with her 9th marathon finish at the OBX Marathon. While finishing her 9th marathon is certainly an amazing feat in and of itself, she followed it up with an 8K on Sunday. AND this was all part of her training as she gets ready to do the JFK 50 Mile run in a couple of weeks. This will be her 3rd JFK 50 and she is gearing up for her first 100 miler next year. I've been working with Cheryl since we lived in Maryland. I remember our first meeting when I was pregnant with my twins and she came over to my house because I was on bedrest and couldn't go meet her! She has always been a strong runner but she has become such a powerhouse rock star. Sunday was another great session for my strength training program. These ladies are a lot of fun to work with and they're up for all of my torture exercises. Sunday was also an amazing day for three of my private clients. Erika ran the Mission Inn 10K in Riverside. Not only did she crush her previous 10K PR by 3 minutes but she was the overall female winner!! This is a fantastic win for her as she does not love racing and has been working hard to get used to the process. I'd say she is getting the hang of it! Last but certainly not least is private client Jennifer and her very first marathon finish at the Santa Clarita Marathon. Jennifer participated in one of my half marathon programs back in Maryland but moved to Northern California a few years ago. We connected again when she started to run about a year ago after dealing with some injuries. She has worked super hard all year and decided to take on the marathon. She was supposed to run the Santa Barbara Marathon, but when it was canceled less than a month before race day, it was time to scramble. 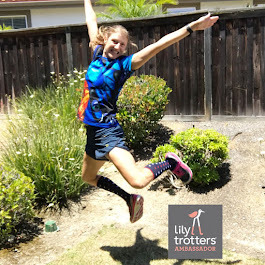 She decided on Santa Clarita to get the most out of her hard work and training and not have to prolong things for a race further out. Even with knee trouble, she finished her race. That goes to show just how strong and tenacious she is! So proud of you, Jennifer! And though I don't have any pics and haven't had a chance to talk with either of them, private client Alexis and running program alum Chris both had exciting weekends. Alexis completed her 6th Ragnar Relay of the year - Ragnar Las Vegas. She is awesome and all of this is leading up to her first trail marathon in January! Chris was set to do the Disneyworld Wine and Dine Half Marathon (this is the same awesome Chris that let us use her studio for the strength program). There was some crazy weather and they had to delay the start of the race and modify the race course. It wasn't quite the race she expected but still had a fabulous time. I've been working with Chris for about a year and a half and she is AMAZING. She had heart surgery almost 5 years ago and is now running half marathons and race challenges and reaching heights she never thought she could. She has come a long way!! So it's been quite a week for me, professionally. I just feel so incredibly honored and fortunate to be able to work with such amazing women. I work with some amazing men too, but this week was all about girl power! These women are strong, inspiring and unstoppable! Personally, it was an ok training week. I wasn't able to get all of my miles in around work, kids, etc., but I felt good during the race on Saturday. I still think it's pretty crazy that a marathon is a training run for me. I'm a bit sore from the crazy course and its roller coaster ride but other than that, I feel good. I am happy with how the week ended for me and this coming week is a light one, training-wise. Things start getting crazy with my oldest's school schedule as they have off for Veteran's Day this week, then next week they're off for parent-teacher conferences and then they are off the week of Thanksgiving. Should be interesting trying to get everything in! How was your week? What was the best part? I'm linking up with Holly at HoHo Runs and Tricia at MissSippiPiddlin for their weekly wrap up link up (say that 10 times fast). Leave me a comment about your week and then go check them out! Wow, this is awesome! It must be so rewarding to see your coaching clients making progress, meeting goals and having fun! Oh my, it's incredibly rewarding. My clients often become an extension of my family. I care about them so much and their triumphs and struggles are mine too. I am incredibly lucky to be able to do what I do! Congrats on your marathon! That looks like a tough course, but the views do look spectacular! I would have been nervous on that bus ride up too. Congrats to all your friends on their accomplishments this week! Thanks so much, Debra! Yeah, I'm not the best passenger to begin with (I get carsick pretty easily) and being on that bus was probably the worst part of the whole experience. Not because they did anything wrong, just the nature of the situation. Ugh. How wonderful to be in a profession you love and to see your clients improve and also meet (and surpass!) their goals. 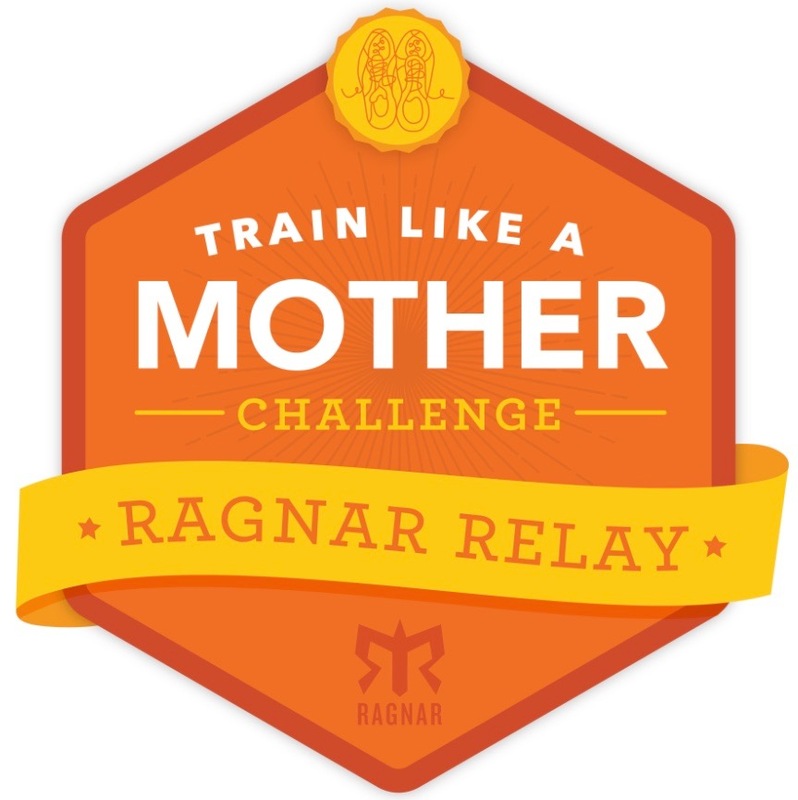 What a huge group of MRTT ladies to be running this together. That's great. Congrats on your marathon. I'd be incredibly sore from all of the downhill. I ran REVEL Rockies and it's been my favorite (of 36 half marathons). I remember thinking on the incredibly steep bus ride up the mountain, "what have I gotten myself into?". I plan to do one of their races next year, maybe Utah or I may repeat CO. I appreciate you linking with us. I hope you will make it a habit! Thanks! I am definitely sore from the downhill. Sheesh!! My friend is doing Revel Rockies and I may tag along. I don't know yet what my race schedule will around then. I can't travel as much as I did this year if I still want to stay married :) I will definitely link up on a regular basis!! It's been great getting to know you! 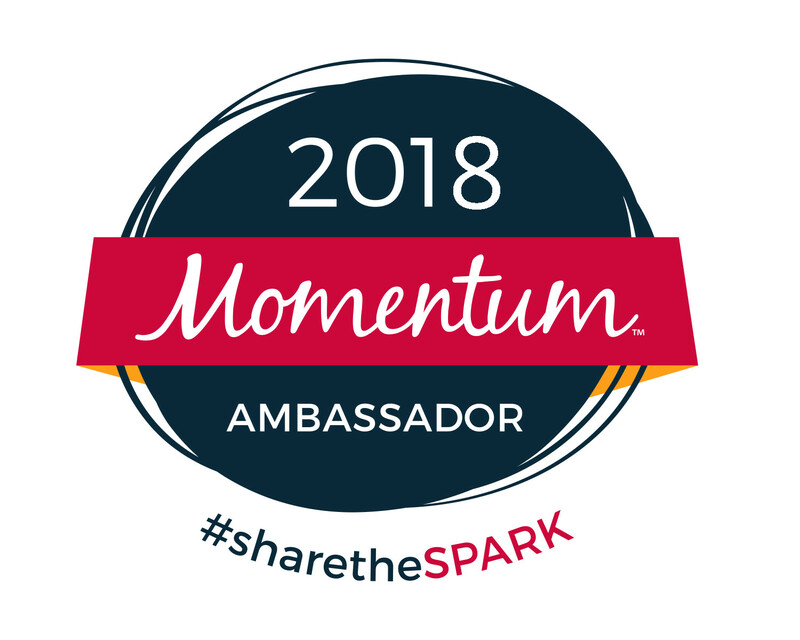 I am seriously jealous of what a great group of MRTT! I live in a small town, with less opportunities, boo. But this race looks so challenging and my goodness yall all rocked it!! I too think I would be even more sore with all the downhill. Does it have that effect on you? Do you train any different knowing you are running this? What awesome views you had on it too! Love all the colorful prints from Spandits, I have been following Smitha and she has about convinced me to purchase my own! 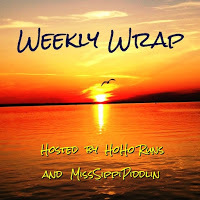 I am so very happy to have you join us in the Weekly Wrap! I hope you will be back! Have an awesome day! Yeah my quads are definitely sore from the downhill. I made sure to add as much downhill running as possible in my runs but it's impossible to mimick 13 miles of 5400+ feet elevation loss. At least close to home. Spandits are great. There are so many patterns to choose from, it's hard to decide. But you should definitely get some!! It is so amazing to read someone bragging on others! You seem like a great coach! I have been on the fence for a while about getting a running coach. I taught myself and through a C25k program, so I am sure I am doing it all wrong. I am not a great runner and with a heart murmur have to keep the pace lower and pretty even. I do love running it just isn't very nice to my body. 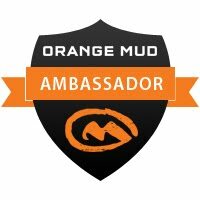 I would love to hear thoughts of run coaching. I'm a little biased about it, but I think anyone can benefit from having a running coach :) It doesn't have to be a long-term thing and can even just be a training plan but having a coach write something that is specific to you and your needs is well worth the cost. Sure you can find something online but having it tailored to your situation, taking in vacations, sicknesses, jobs, etc is worth the effort of hiring a coach. I'd be happy to answer any specific questions you have. 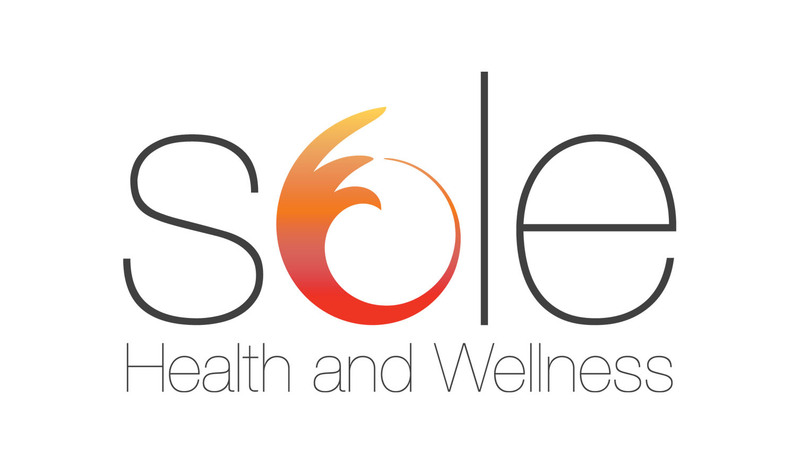 Just email me at jenn@solehealthandwellness.com. Thank you!! Everyone had such a great week, they deserved to be bragged on!! 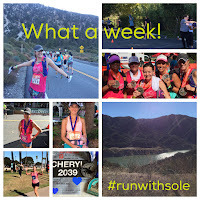 Wow-what a great week for you and your runners! I can't think of anything to add, surprisingly, except to reiterate what everyone else has said: you're a fantastic coach, and you should be as proud for yourself as you are for your clients and running friends. Thanks Steve! I'm proud of everyone and proud of my role in their successes. I'm more proud of them than I am of myself but I'm proud of myself too. Sheesh. This has gotten very mushy. Love how happy you look! Life's about having fun :) Love this! It sure is! If it's not fun, it's not worth doing! Nice job! I love race recaps -- congrats on another finish line! Thanks Teresa! Yup, crossing any finish line is worth a celebration!